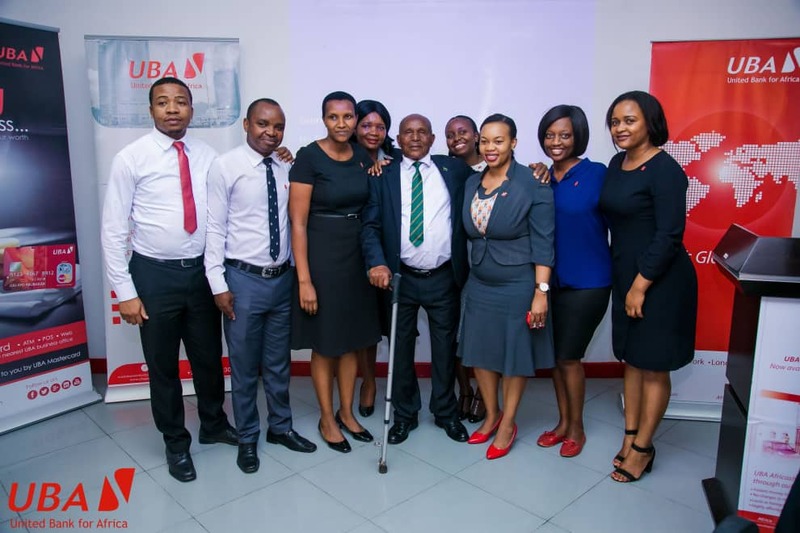 Lucky United Bank for Africa - Tanzania staff were visited by a legendary figure from the summer Olympics of 1968, Mr. John Steven Akwari who is famous for his quote "My country did not send me 5,000 miles to start the race; they sent me 5,000 miles to finish the race." Executive Director Emeke E. Iweriebor was pleased to host Mr. Akhwari,s as he always referred to his story to motivate the team to making success stories through resilience and commitment. The ED/RCEO charged all staff members to be strongly committed and positively inclined to creating a difference. He urged staff to become believers, be resilient and always go the extra miles to achieve exceptional results. During his dialogue, the ED/RCEO largely used the example of John Steven Akhwari a marathon runner during the 1968 Olympic games in Mexico City. Akhwari was a world class runner of the 1960’s and 1970’s where he participated in different Olympic games across the world. His 1968’s Olympics in Mexico is regarded the most heroic story to date. This is because during his 42 Kilometre marathon mission Akhwari was Cramped up due to the high altitude of the city. He had not trained at such an altitude back in his country. At the 30 -kilometre point there was jockeying for position between some runners and he was hit. He fell badly wounding his knee and dislocating that joint plus his shoulder hit hard against the pavement. He however continued running, finishing last among the 57 competitors who completed the race started by 75 runners. The winner of the marathon was Mamo Wolde of Ethiopia who finished in 2:20:26. Akhwari finished in 3:25:27 one hour later when there were only a few thousand people left in the stadium, and the sun had set and television crew sent out. As he finally crossed the finish line a cheer came from the small crowd. When interviewed later and asked why he continued running, he said, "My country did not send me 5,000 miles to start the race; they sent me 5,000 miles to finish the race." 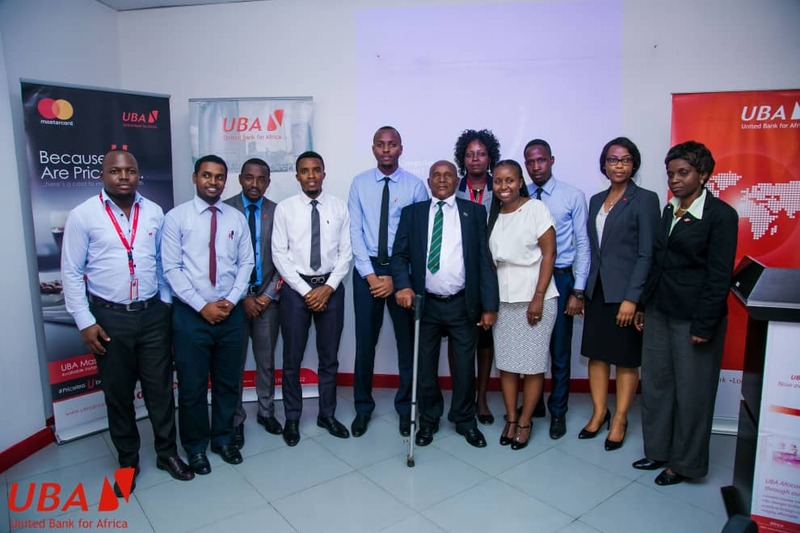 During his engagement with UBA- Tanzania staff Mr. Akhwari reminded the agile audience that he did not finish the race to prove a point but simply to ensure that he finished what he was set to do. 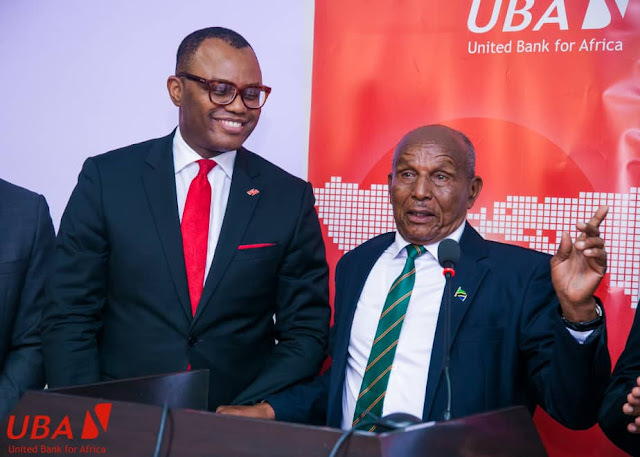 Managing Director UBA - Tanzania honoured the iconic figure and urged his staff to always be the first to do things differently saying “the historical moment demonstrates resilience, consistency and Focus the ultimate goal must be achieved regardless the circumstances and strive to complete what is started and not rely on obstacles as excuses”. He said each individual is born with an inner talent and it is important to let shine the talent and become more productive than being timid and live without achieving significant results. During the 1968 race, Akhwari’s body was exhausted but not his spirit; his competitors crossed him one by one but his determination rewarded him in tremendous pain. Akhwari never won any Olympic gold medal but he became the greatest example of never-give-up spirit, and a tale of courage and his story has widely been told across the world especially in education institutions. John Stephen Akhwari has been honoured and symbolized as the living example of courage and determination. In 1983, he was awarded a National Hero Medal of Honour. 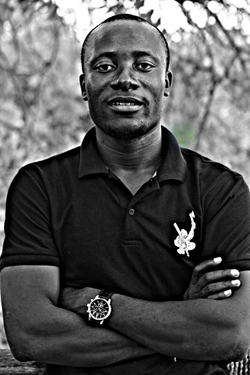 In 2000, he was invited to the Olympics in Sydney, Australia and 2008 he was invited in Beijing as a goodwill ambassador to inspire the Olympic athletes for the 2008 Games. 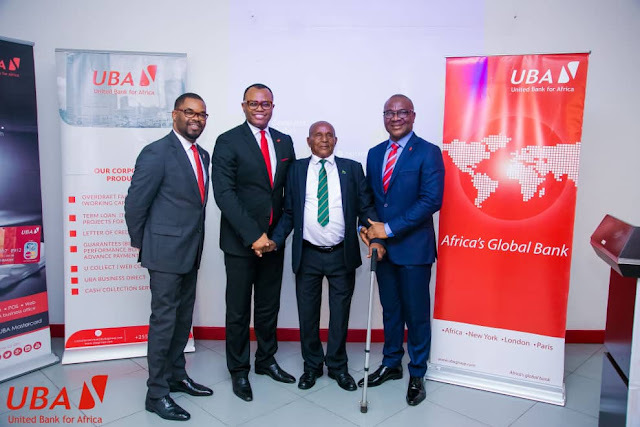 From Left Mr. Mathias Ninga, HR Business Partner East and Southern Africa UBA Group, next is Mr. Emeke Iweriebor, Executive Director East and Southern Africa UBA Group, next is the Renowned Olympian Mr.John Akhwari and Right is Mr.Usman Isiaka the Managing Director UBA Tanzania. Mr. John Akhwari stressing a point during his visit to UBA Tanzania. On his right hand is Mr. Emeke Iweriebor the Executive Director East and Southern Africa UBA Group. UBA Staff members pose with Mr. John Akhwari during his visit to UBA Tanzania Head Office.